Google recently piloted in New Zealand an experimental technology that, when scaled, could provide the opportunity for Internet access for anyone in the world. 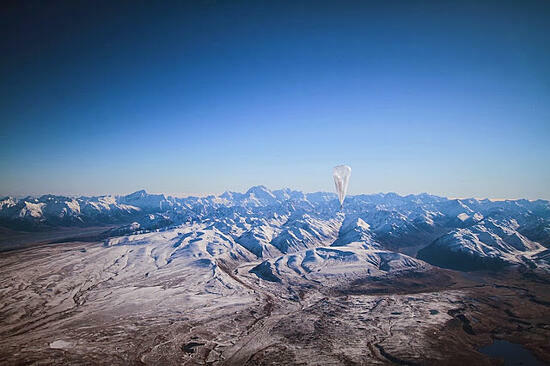 By connecting a network of solar-powered balloons floating in the literal stratosphere to homes on the ground, individuals in hard-to-connect places can access the Internet. From a marketing and PR standpoint, it’s a win for a company like Google to set themselves up as helping people around the world by connecting them to the Internet. Though as a business it's reasonable to expect that Google is looking for a positive return on their investment as much as they’re looking to help the world. Bill Gates rightly pointed out that while such efforts are great for technology, there are more rudimentary human needs that should be addressed before we jump to “helping” people by giving them the ability to surf YouTube and check their Gmail, especially when they’re dying from malnutrition. Such human needs are many - but to name a few examples: cleaning diseased water supplies, eradicating malaria, and initiating sustainable agriculture systems. However, Bill Gates underestimates the potential impact. Imagine the beauty of remote-village residents using technology to enable communication with family members abroad. Due to a 45% unemployment rate, Nepal is exporting males in their 20’s at alarming rates who have little ability to communicate with their families back home in the many rural Himalayan villages that dot the Nepal-Tibet border. (Many of these young men are never heard from again.) The simple ability to communicate with family can be a life-giving source of encouragement. But what’s more, with a more ubiquitous presence of technology comes the ability to set-up simpler financial distribution systems to literally help their families at home with the money they earn abroad. With more capital infusion to rural poor areas comes an increased possibility to start and grow small businesses, which in-turn grows the potential for people to take control of their basic human needs in healthier and more robust ways. only is communication and financial distribution enabled, but actual participation in a global marketplace becomes a real possibility for one of the ninety or so ethno-linguistic people groups scattered among remote mountain villages. This pervasive access to the Internet could bring digital jobs and inject earned and much needed money into rural communities. Imagine an Earthquake in the low-population remote Himalayas: Any existing communication infrastructure is severely hampered by an Earthquake. In the past it would be a blurb at the bottom of a news report. But with Google Loon + CloudFactory, increased visibility into needed emergency response to remote areas also becomes plausible. CloudFactory’s model to this point has focused on primary and secondary cities. CloudFactory has proven its worker model in Kathmandu and Pokhara (a beautiful, but accessible city attractive as a get-away from Kathmandu, and launching point for the Annapurna trekking circuit), and is replicating itself at this moment in Nairobi and expanding soon in Nakuru. Part of CloudFactory’s future road map includes rural, less accessible villages, and the less-English-speaking areas vastly underserved by the urban migrations of the last century and more. In combining Google Loon and CloudFactory, one could imagine an opportunity for a rural mountain-top farmer to supplement his income by logging into the web-based CloudFactory Worker Platform a few hours a week, getting paid for as many tasks as he wishes (and also using Google Loon to check the weather and increase his crop output). With localized economic growth among otherwise impoverished rural populations, one can then envision less need for young Nepalis to go abroad, families staying together more, and less pressure to undergo even domestic urban migration. With this then comes the availability of information and capital to see a scalable self-initiated, self-maintained effort to improve rudimentary human conditions like healthy water supply, disease reduction, and (through newly enabled communication channels) to engineer supply-lines of raw materials to make poverty alleviation of all sorts possible. Due to its topography and economy, Nepal may be the most strategically difficult country to connect to the Internet. As perhaps the largest technology company in Nepal, CloudFactory would be very open to work with Google to pilot and test the true economic impact of internet access to the otherwise inaccessible.